What’s not to like about a salad that’s equal parts bread and veggies? 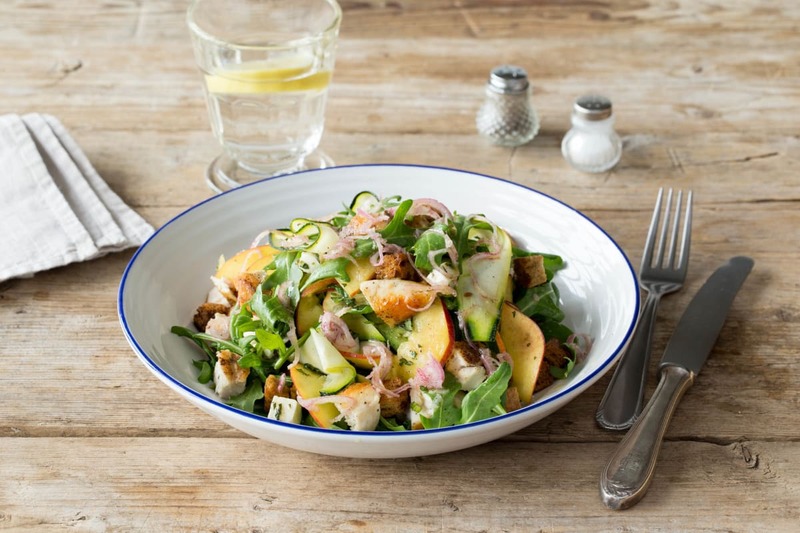 This panzanella is bulked up by thinly shaved zucchini, fresh mozzarella, and juicy nectarine. Unlike most salads, this one is even better made a few hours in advance. Just toss the arugula and mint in right before serving! Toast the bread: preheat oven to 400 degrees. 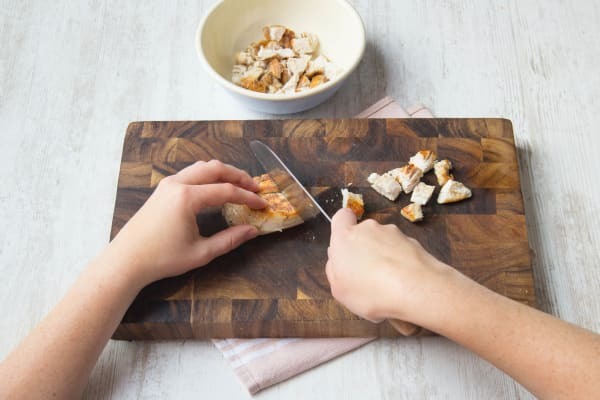 Slice the bread into ¾-inch cubes. 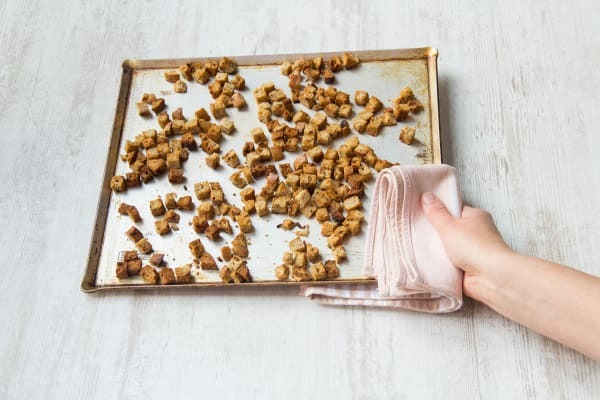 Toss bread cubes on a baking sheet with 2 teaspoons olive oil and season with salt and pepper. Place baking sheet in the oven to toast for 6-8 minutes, until golden brown. Cook the chicken: heat 1 teaspoon olive oil in a large pan over medium-high heat. Season the chicken on all sides with salt and pepper. Add the chicken to the pan and cook 5-6 minutes per side, until cooked through. Set aside for 5 minutes, then dice into cubes. 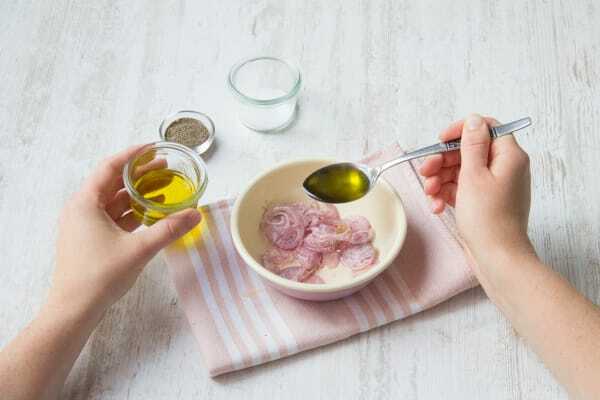 Make the vinaigrette: in a small bowl, combine the shallot, remaining vinegar, and 1 ½ tablespoons olive oil. Season with salt and pepper. 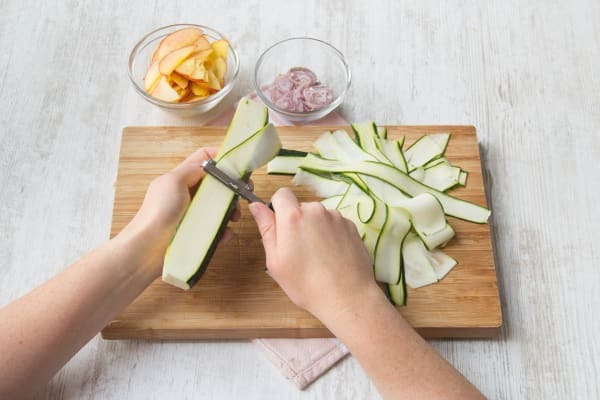 Toss the mozzarella, bread cubes, chicken, mint, arugula, nectarine, and vinaigrette into the bowl with the zucchini ribbons. Season with salt and pepper and finish with a drizzle of olive oil, if desired. Enjoy!